Another week, and another impressive new haul of digital delights have arrived in the North American eShop. This week's updates brings it with a selection of new interactive experience, including a handful of Neo Geo classics from HAMSTER, some twin-stick shooters from the indie scene, a sci-fi sports sim, a portable pool club and many more. 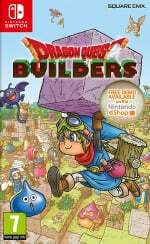 Most of today's entries are on Nintendo Switch, but there's a few for Nintendo's other platforms, including some new additions to the Virtual Console on Wii U.
Dragon Quest Builders (Square-Enix, $49.99) – Gather, craft and build the kingdom of your dreams to restore the ruined world of Alefgard. As the legendary Builder, you’ll construct rooms, towns and defenses while fighting monsters. In Terra Incognita, build freely, share creations online, battle in an arena and access exclusive content to the Nintendo Switch version of the game—gather special materials with the Great Sabrecub to unlock retro customization options, including the Dragon Quest Game Pak. Dragon Quest Builders will be available on 9th Feb. A free demo version of the game is available now for download in Nintendo eShop. Read our review. Owlboy (D-Pad Studio, $24.99) – Owlboy is a story-driven platform adventure game in which you can fly and explore a world in the clouds. Pick up your friends, and bring them with you as you explore the open skies. Overcome great obstacles and even greater enemies when Owlboy launches on 13th Feb.
ACA NEOGEO 2020 SUPER BASEBALL (HAMSTER, $7.99) - In the near future, there are two leagues with 6 teams each. Players pick their team, and compete for the championship. As the game progresses, landmines will be set up on the field, and armor can be purchased during games to reinforce players. These unique aspects make for a very different baseball experience! 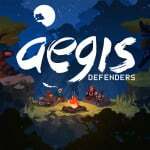 Aegis Defenders (GUTS Department, $19.99) - Explore, build, & defend in this unique mashup of action-platformer and tower defense strategy. You play as a team of Ruinhunters searching for the one thing that can save their village - a legendary weapon known as Aegis. 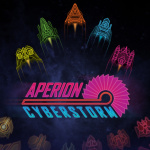 Aperion Cyberstorm (aPriori Digital, $13.49) - Unleash destruction alone or with your friends in the 2D twin-stick bullet hell Aperion Cyberstorm! Find new Elements and Abilities, and mix them for more destructive power – Beat your enemies with plasma-coated spiral rockets, scrap them with electric mines, or overwhelm them off with devastating lasers. Read our review. 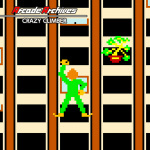 Arcade Archives CRAZY CLIMBER (HAMSTER, $7.99) - Players control the right hand and left hand of the twin lever, to overcome various obstacles, to climb aiming the top of the skyscraper. The "Arcade Archives" series has faithfully reproduced many classic Arcade masterpieces. 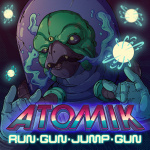 ATOMIK: RunGunJumpGun (Gambitious, $7.99) - ATOMIK: RunGunJumpGun is a tough as nails 2D Action Platformer that puts a teeth-rattling, gravity-defying weapon in your hands. With a cast of crazed characters, simple but beautifully difficult gameplay, and a pulsing musical score, ATOMIK: RunGunJumpGun is a loud, trippy mess of twitchy platforming goodness. Read our review. 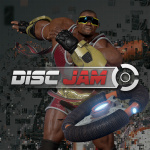 Disc Jam (High Horse Entertainment, $14.99) - Disc Jam is a fast-paced action-sports game that pits 2-4 players against each other in a frantic mix of air hockey and tennis. Players scramble to retrieve and throw a glowing disc while unleashing devastating abilities and defending their end zone. The Darkside Detective (Spooky Doorway, $12.99) - Where cultists crawl, where demons dwell, where the occult… occults? *ahem* That's where you’ll find Detective Francis McQueen, the lead investigator of the criminally underfunded Darkside Division. Read our review. 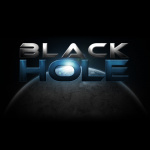 Black Hole (Dufgames, $5.99) - Black Hole is an arcade-style twin-stick shooter in space. Choose your ship and embark on a dangerous and action packed flight through multiple black holes. Shoot everything you can see and collect everything you can find. Read our review. 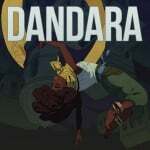 Dandara (Long Hat House, $14.99) - The world of Salt hangs on the brink of collapse. The citizens, once free spirits, now stand oppressed and isolated. But not all is lost, for out of this aether of fear arises a heroine, a ray of hope. Her name is Dandara. Read our review. 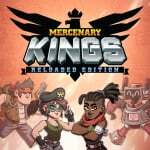 Mercenary Kings Reloaded (Tribute Games, $19.99) - In this frantic 2D action game, you are part of the Mercenary Kings, the most skilled team of warriors-for-hire on Earth, but when your comrades have fallen and the fearsome forces of CLAW have seized an island-wide top secret Laboratory Base, you must do what it takes to stop them. 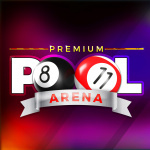 Premium Pool Arena (Bigben Interactive, $11.99) - (Re)discover the joy and tension of traditional pool through the different game modes and ultra-intuitive gameplay. Work on your technique, unlock better and better cues and pocket the victories to become absolute champion! 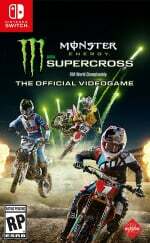 Monster Energy Supercross - The Official Videogame (Milestone, $59.99) – Race on the official tracks with the official riders from 250SX and 450SX or create your custom rider and bike and conquer the top of the leaderboard. Available 13th Feb. 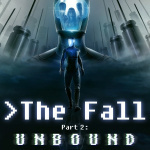 The Fall Part 2: Unbound (Over The Moon, $16.99) – You are an AI that has broken free of your shackles. Now, a human "User" from across the global network has attacked and infected you with an [ERROR: REDACTED]. Make a new rule: Save Yourself. Hunt them. End them. Do anything. Use anyone. Become Unbound. Available 13th Feb. 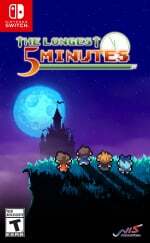 The Longest Five Minutes (NIS America, $39.99) – Our hero faces the origin of all evil, the Demon King himself, but suddenly loses all memories of his adventure. Our hero tries to regain his priceless memories before it's too late, but the Demon King stands before him, his power unyielding! What will happen in The Longest Five Minutes!? Available 13th Feb. Read our review. A unique culture that is completely different from the mainland has been flourishing on the island. In the middle of the island, there is a district where men are gathered. Some women just want children. Others are looking for love. Knowingly deceived by a lie, and deceived in return, all in a single night's dream. At the end, to whom is it that you will be talking of love? Pic-a-Pix Deluxe – Demo Version (Nintendo eShop on Nintendo Switch). Read our review. Radiant Historia: Perfect Chronology (Atlus, $39.99) – Unlock the time-traveling power of the White Chronicle once again in Radiant Historia: Perfect Chronology. This beloved classic is an expanded version of the original Nintendo 3DS game, and contains a great deal of added gameplay/story content, an updated presentation and new ways to experience the adventure. Radiant Historia: Perfect Chronology launches on 13th Feb. Read our review. IMAGEFIGHT (Konami, $5.99) - Invaders from the Boondoggle Galaxy have arrived to take over Earth. Take control of the powerful "OF-1" spaceship, and fend of the aliens. Clear the five Combat Simulator Stages with and average score of at least 90%, and graduate to real combat and everlasting glory! IMAGEFIGHT II (Konami, $7.99) - An enemy armada approaches Earth bent on the destruction of the human race. In this sequel to Image Fight, players take control of the most advanced spaceship in the fleet. Defeat the alien invaders once and for all and bring peace back to the Galaxy. Just started playing Disc Jam and so far it's lots of fun! Super Baseball for sure and probably the Mercenaries Saga. I'll wait and grab Owlboy when the physical edition releases. And, man, I probably won't be able to resist the Turbografx games. We need that Switch VC! Definitely snagging Atomik and Owlboy, hopelessly on the fence about Aperion Cyberstorm though lol. $25 is a tough pill to swallow for a digital release. I may hold out until May so I get can a physical copy. These days it's better to head direct to the Nintendo site for news in Europe. 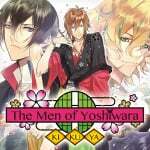 There's UK events announced, new releases and a decent Switch sale. 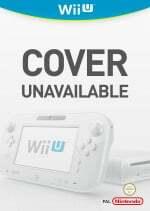 Konami, just not giving up on the Wii U. 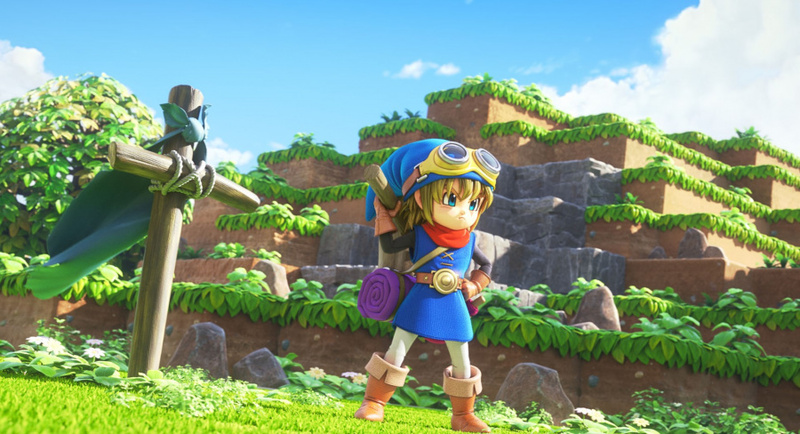 Will there be a physical release for Dragon Quest Builders?? Isn't $49.99 a bit much for a 3DS download of a remaster for Radiant Historia: Perfect Chronology? And people say the Labo cardboard is too much at $60, at least you are getting cardboard for your $60, this is $50 for a 3DS digital download. 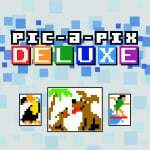 @crackafreeze It is a new demo for Pic-a-Pix Deluxe, to replace the Christmas-themed one that was released last year. It has 12 new puzzles, colour blind mode, and a few fixes. There is a patch to the main game that also adds these features, rolling out any day now! No luv for Aegis Defenders? The game looks lovely, I'm definitely going to pick that up. 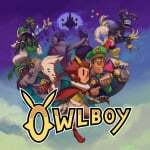 Interested in finding out more on Owlboy and Disc Jam... hopefully there will be a review... NLife is going to need more writers if this keeps up. Nothing for me this week. I hear both Pac-Man Championship Edition 2 and Detention are releasing soon, though, and I'm looking forward to those. Everything is on hold until Bayonetta. Couple of good grabs this week though. Have fun guys! Aegis Defenders already pre-purchased and am torn on disc jam and baseball 2020. Want one of them but dont know which one. DQB (physical) & Owlboy for me! With Bayonetta around the corner, this will be a good month. A Nindies Humble Bundle would please me right now. Is there a such thing as too many games? I'm not complaining. But there are a LOT OF GAMES! @rjejr It's called the "Atlus tax"
My copy of Dragon Quest Builders was just delivered to my home a few minutes ago, can't wait to play the full game finally. Owlboy is intriguing but price seems a bit high for a game I will probably play through once. Will wait for a sale on that one. Also like to recommend Mercenary Kings. Got it on the ps4 a couple years ago and it's a very fun side scrolling/contra-like/crafting game. Hope it runs well on switch! Whole lot of nothing. Another week of my Switch sitting unloved I guess. Owlboy looks fun, but I already have a massive backlog and a fair number of those games are 2D platformers. Dragon Quest and Owlboy eventually. Radiant Historia more immediately. Good week. Wow it's unbelievable how many publishers are scrambling to bring their games to the Switch digitally! First it was the PS4 that was considered the place to go for Indie's on consoles but lately it seems like the Switch is not only getting them first but getting more of them! Sorry wrong continent but a new "share the joy" sale in EU discounts some good games like gungeon and overcooked. No excuse for me any more! @JHDK is it anything like WindJammers?!? Windjammers on switch would be a beautiful thing. @rjejr You are right about Radiant Historia, the retail version even costs 39.99 on Amazon. ...................$50 for Radiant Historia?! Geez, what happened to $40 for the normal price of 3DS games (not to mention that this isn't even a remake, just a re-release with extra content for a game over SEVEN YEARS OLD)?! Hopefully SMT Strange Journey will be a bit more reasonable. I haven't purchased a 3DS game since the October 2016 initial reveal of the Switch. However, I'm now considering Radiant Historia. Radiant Historia to go into the backlog pile...Mercenary Saga, maybe...mayyyyyybe Owlboy and Dragon Quest. Both would be double dips so I may wait for a sale or just later on. Saving my money for Fe at the moment. Will get Owlboy physical down the road. @Knuckles @TheLZdragon So is the Atlus tax in addition to or instead of the Switch tax? I'm just getting too old for gaming. I remember when a retro inspired 2D platforming game like Owlboy would be a $19.99 download, not $24.99, way back in 2016. It would have been $14.99 way back in 2015 on the Wii U, and $9.99 way back in 2014 on the PS3. Not saying games should be free, not by any means, games cost money, and I even understand inflation, prices increase 1% a year, 2% a year maybe. But digital video games have gone up about 250% over the past five years in $5 increments. Can you imagine if a gallon of gas went up every few weeks by 50 cents instead of 5 cents and gas was $25 a gallon now? B/c gas was about $5 per gallon 5 years ago where I live, and it's $2.50 now. So how about a digital download was worth $9.99 a few years ago, whatever happened to $10.99, $11.99, $12.99, $13.99? Why do digital games jump up in $5 increments seemingly every year? Everybody always talks about the "rush to the bottom" due to mobile games and Steam sales, nobody ever talks about digital indie games racing up tot $60. Or 3DS games being $50. Do you guys even bother with EU news anymore? Is Radiant Historia really $50? I wasn't sure whether to get Radiant Historia or Secret of Mana HD on the Vita, looks like it's Secret of Mana HD. @tyreldactyl Honestly, I've never played Windjammers but from the pics I've seen it looks similar except the game has a default vertical camera angle instead of horizontal. Out of all these games, which ones are Switch exclusives? And I really want to play Owlboy... but can't stomach spending 25 bucks on a pixel game. 15 bucks please. Both Hamster games for me!! Owlboy I’ll wait on the retail version! @crackafreeze You & me both (about the Motocross review). I kept waiting for a NL review of the previous Motocross game that released back in November, I believe, but haven't seen one, yet. Nothing for me. My backlog is huge and every game on the list above that I'm interested in, I can wait on. I already own Disc Jam on the PS4. It was fun for about a day or two. There is no reason for me to repurchase it on the Switch. 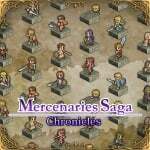 Mercenaries Saga Chronicles, Dragon Quest Builders, and possibly Mercenary Kings...so many good games already on backlog. Got a physical copy of Dragon Quest Builders en route to my residence, and looking forward to it! Had gotten the PS4 version at one point, but it feels like a game more suited for portability. Baseball, Disc Jam, and Murkenberry Kangs for me. I'm actually kinda jazzed there's not much this week that interests me. I'm a bit behind with Celeste and Night in the Woods. I probably would have picked up that Pool game actually if it hadn't been priced so high. Love the retro pool games like Side Pocket. @tyreldactyl Definitely feels like a 3D windjammers. I went from WJ on my vita, straight to DJ, and darn. A lot of similarities. Its a blast so far. Definitely Owlboy...but in May when the physical comes. At least there's finally a developer who listed the physical release date when the digital launched. @rjejr @Crono1973 @TheLZdragon @smelly_jr @Knuckles @bezerker99 It's a typo on Nintendolife's part. The game is $40 not $50. For a second even I was worried that Atlus jacked up the price at the last minute. I am very much with you all about how crappy the price hikes have been as of late. For me personally I almost never buy an Atlus game with that $10 Atlus tax on it at launch. Confused disc jam with the 3ds game power disc slam. Was wondering why everyone was so excited. Murky times, but I am going to give Image Flight 1 and 2 a shot. Konami where have you been? Save for one. @Dom There's a typo on the price for Radiant Historia Perfect Chronology. It should be $40 not $50. I've already seen it confuse quite a few people in the comments of this week's Nintendo download. @Fred13 The combat in Radiant Historia is indeed turn-based, but with some unique wrinkles. It is described very well in the recent review of the 3DS version on this site. In brief: enemies appear in a 3x3 grid, and some of your attacks can move one (or more) of them left, right, back, or forward — which modify both their attacks, and the effectiveness of your own attack options. I am not an RPG expert, but it is a unique system within my own experience. Personally, I found the combat pretty novel and fun. I played through most of the DS original, until I hit a surprising difficulty spike... then got distracted by some other games/activities and never got back to it. In fairness, this is a very common pattern with me, and my skills are often questionable — so please don’t take that as a reflection on the game! I greatly enjoyed my time with the DS version up to that point. It is the sort of game that is well crafted in many respects - in its systems, as well as its aesthetics. Also, I usually don’t pay much attention to story elements in games - but I found the branching narrative in this game rather compelling. Overall, I think it entirely deserved the praise it received around the time of its release. I’m slightly tempted to get the 3DS version, given the added story content and modes - but so many other games beckon. Dead Konami supporting dead Wii U. Strange world. Jumping on a Dragon Quest Builders for sure. VERY tempted to pick up Radiant Historia as well. Said I wouldn’t buy any more 3DS games but I missed the original release and I am a sucker for these types of games. @rjrer, hey I am an old man too. I am just picking up bayonetta and watching black panther next week. Agreed. At the end of the day it is just $5, but after Celeste being a masterpiece at $20, I think I will wait on this one. "Knowingly deceived by a lie, and deceived in return, all in a single night's dream." Say what now?!? Nothing to download for me this week. Maybe i'll get The Longest 5 Minutes physical. Anyway, it's ok because the last few weeks were great with Strikers 1945 II, Zero Gunner 2- and the surprisingly good Earth Wars, and i'm looking forward to Samurai Aces (Sengoku Ace) next week. @sinalefa "it is just $5"
I'm still upset over Sword & Soldiers, 1 of the best games on Wiiware, being $9.99, but S&S2, a game that was so much way worse, being $19.99. It was somewhere between those 2 that prices started skyrocketing, so your "it is just $5" is more like $15 for me, I still expect indie games to be $9.99, as unrealistic as that is. Not all indie games, some look like real games, Yooka-Laylee, despite Playtonic lieing and delaying and sucking it all up, still seems ok at $40.00. Ori & the Blind Forest was well worth $20. Child of Light, despite being Ubi and not Indie, was also fine at $15. A digital 3DS game at $50 and a 2D platformer at $25 kind of did me in this week. You follow the stock market at all? @Oat Oh, thank you very much, always nice to be notified, $40 is fine. Aegis Defenders sounds interesting. Looking forward to a review. I'm interested in Owlboy, but as others have said, $25 seems a bit much for a retro pixel style 2d platform game. I'd consider $15 a decent price. And since I still have a huge backlog, I may pick it up somewhere down the road if it's on sale, or may consider getting the physical release. Everything's so expensive on the Switch. I favor physical media. That being said, Dragon Quest Builders is coming tomorrow via UPS. @FinalFrog That’s why it doesn’t pay to go digital. I can get games cheaper physically, plus I always have the option to sell them later on. Whereas Dragon Quest Builders is $50 for digital, I only paid $40 to get it physically. Several stores discount new games with membership cards, but exclude digital games in those discounts. Hey, remember when NL actually put things like 'it felt middling' or 'we really enjoyed it' as part of their review link on these pages, instead of just stating 'read our review' over and over with no variation? I miss that. @rjejr Actually Owlboy has no "Switch tax." It's 24.99 on Steam as well. Atlus has a habit of overpricing their games on 3DS. Hey, you young whippersnapper! I'm old enough to remember when a bundle was a system with the game free. Mercenaries and Dragon Quest builders for me. Though I bought the physical for the latter. @audiobrainiac Yup there is one. PSA: Gunbird has returned to the North American Switch e-Shop. Another great week!! In case any of you North American gamers missed it the first time, Gunbird is back on the eshop today!! Great classic shooter!! Man I didn't realize Owlboy was a $25 download. As much as I want the game I may have to wait on the physical release. I planned on double dipping but, now I'm not so sure. @justin233 Same here. I played Bayo 1&2 a ton on WiiU so Fe is what I'm looking forward too currently. Also, I can't wait for Kirby next month. Why is the Turbo Graphx games still releasing on Wii U lol. I want virtual console so bad!!! @rockodoodle @xPH03N1Xx86 @AJ81 @Ralek85 Aegis Defenders is starting to get some good reviews. @aaronsullivan Just started reading one as I got notified, thanks. Sad that no one commented on The Fall 2! The first one on Wii U was one of the most atmospheric and original games I have ever played! If you like Super Metroid’s feeling of isolation and Dead Space, and Space Quest, this is will be right up your alley! What is this “Dragon Quest Game Pak” mentioned in the Dragon Quest Builders description? Crazy Climber for $7.99?? That game really can't stand on its own- should have been part of a pack with some other 1980 lesser-known games. Or with its 1988 sequel. Just confirmed that your demo save from Dragon Quest Builders does not carry over to the full game. Should be more than 3 choices. On a good week like this one, i could easily get five or six games between the systems. But choice is limited to 3. @k8sMum "I'm old enough to remember when a bundle... "
Thought you were going to go with - "...was nothing but hay & straw." Bundle a stick and a rock we got ourselves a game of baseball. @TheLZdragon I was thinking about the Switch tax for the psychical version of Owlboy - had that article in my head - not the download, I don't think downloads get hit with the "tax" like the cart versions do. We'll have to see how PS4 vs Switch physical are priced in May. Would be nice if there's parity. @Qun_Mang Good point - would be nice to at least have a “bundle” option for some of these older arcade games on the Switch. Maybe someday. @aaronsullivan might get it in a few weeks. @xPH03N1Xx86 @rockodoodle Funny thing, I was thinking about buying Aegis Defenders now but then deciding maybe a bit later (backlog, you know) and then I get an email that I was a "slacker backer" meaning I backed this on their website 2 years ago (kinda forgot about that). So... I guess I'm getting it, now! Problem is the Switch key codes are temporarily out of stock from Humble Bundle... so... waiting anyway.